I also have a few men's shaving kits left. Order now while they are still available! After a long, long hiatus involving relocations, drawn-out home sales, home purchases, and job changes, I am pleased to announce that Prairie Soap House has found a new home truly on the North Dakota prairie in rural Mott. The soap kitchen, therefore, being re-established after long while, I am pleased to announce that I now currently have some soaps for sale. All soaps are made with organic ingredients and are 100% natural (excluding lye) unless otherwise indicated. Orders can be placed via private message to me on facebook or to prairiesoaphouse@gmail.com. I will ship anywhere in the United States. Our summer was especially short this yea r. I was angry about it. I thought to myself, "I wish I could make summer last!" And then I realized that, in some small way, I could. In soap form. This was an experiment for me in infusing both my oil solution and my lye solution with fresh dill and lemon balm from my garden. After a few days of soaking, the herbs were strained out, and the resulting herbal mixtures were made into soap. This bar comes in a variety of decorative forms including Celtic knots, flowers, and some very nice, simple circular bars also. 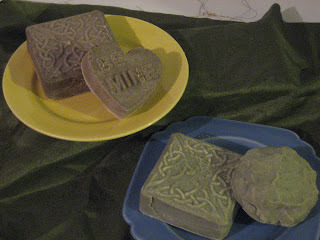 A beautiful, herby green resulted from the process of making the soap along with the addition of chlorella powder. This bar has the added benefit of local bees was from RG Bees here in Mott. Ingredients: coconut oil, lye, olive oil, sweet almond oil, safflower oil, jojoba oil, sesame oil, beeswax, wheat germ oil, lemon balm, dill, tea tree, lime peel and petitgrain essential oils. I have been coming in from the garden after long hours covered in scratches and scrapes. My skin feels irritated. It needs some love. And that is what this bar is for. In addition to the typical nourishing soap ingredients like coconut oil and palm kernel oil, this bar has the benefit of several high-end oils known to have healing properties. Some information on kokum butter, tamanu oil, and wheat germ oil can be found at mountainroseherbs.com if you are interested in the specifics. This bar also has the unique addition of dragon's blood resin which is a thick, sticky material taken from a tree and is wonderful for the skin. Suffice it to say that this hard bar will last a long time in your shower, give a decent lather, but will also hopefully soothe your skin. All bars are a light golden color with red flecks and have square Celtic knot designs. Ingredients: coconut oil, palm kernel oil, lye, wheat germ oil, castor oil, cocoa butter, kokum butter, tamanu oil, annatto powder, dragon's blood resin, rosemary geranium and palmarosa essential oils. My husband leaves our house every morning as bright and shining as a new penny and returns every evening looking like a chimney sweep after a long day of coaxing heavy machinery back to life. After diesel fuel, ethers, brake clean, and other horrid substances have been sinking into his skin all day, his hands are impossible to get clean again. In the past we have resorted to buying commercial pumice hand detergents to try to do the job, but I fundamentally object to nearly every ingredient within them. So, this bar is my own take on those cleaners, but from a pure, organic, and natural standpoint. The bar contains bentonite powder which is used in cosmetics and body products to remove impurities from the skin. The bar also contains organic coffee grounds, apricot kernel meal, and epsom salts to exfoliate the skin. While this bar is great for washing hands, it could also be used in the shower as a full-body exfoliator. Ingredients: coconut oil, lye, safflower oil, sesame oil, palm kernel oil, cocoa butter, bentonite clay, epsom salts, apricot kernel meal, round coffee, karma essential oil blend. These bars are available in circles or rectangles. I always try to have some variety of this soap on hand as it makes great gifts, and I have a lot of requests for it. This bar is special because it has extra emollient properties due to the large proportion of castor oil that is used in the bar. This helps keep baby's skin soft and smooth. It isn't just for baby, though, as this bar quenches the thirst of mom and dad's skin as well with the addition of shea butter, a special nut butter known to moisturize and repair skin. Scented very lightly with white grape fruit and anise seed. 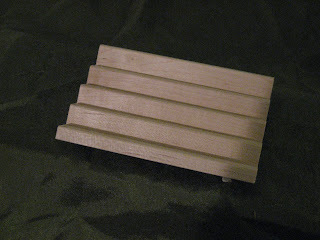 Rectangular ruffle-edged bars are stamped "hand made." Ingredients: coconut oil, castor oil, lye, palm kernel oil, shea butter, cocoa butter, white grape fruit and anise seed essential oils. Hidden Treasures Soaps--great for kids, these opaque soaps have toys hidden in them. Encourage bathing! $1.00 each. 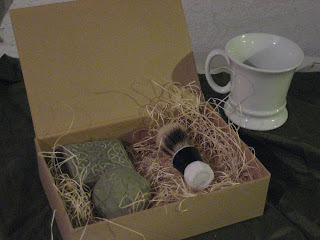 Men's shaving kits: includes brush, mug, and shaving soap. $12.00 each. Soap is the material that results from a chemical reaction between an acid (in this case lye aka sodium hydroxide) and a base (the oils). There are six different chemical reactions that will result in the material known as soap. The type I make and that we all use in our homes is just one of these six reactions. This is known as "cold process" soap. Soap works because it is a surfactant, meaning that it creates conditions on skin where the "stuff" stuck on your skin becomes slippery and more easily washes away with water. It is worth noting that many common "soaps" sold in the grocery story are actually detergents, and this is why they are drying to the skin as they are quite harsh. Cold process soap is not harsh as all of the acids and bases are neutralized in the soap making process. My soap has the added benefit that it is "super fatted," meaning that I formulate my recipes so that the end product contains left over oils, making the bar more moisturizing. Lye is listed as an ingredient in my products. Is lye bad? The answer is "no." I am required by law to list lye as an ingredient; however, there is actually no lye left in the final product. 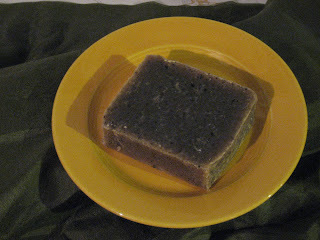 Lye and oils mix together to make soap. Lye is a raw ingredient which does not exist in the final result of this chemical reaction. Is my product organic? What are the benefits of using my soaps? Because of federal regulations, I cannot label my product as organic unless I go through a long and costly process of organic certification. What I can do is tell you that all of the ingredients that I source for my products are either 100% organic, or, if that is not available, 100% natural. I source most of my raw materials from mountainroseherbs.com, and you can go there yourself to verify any information regarding the materials in the soap for yourself if you desire. The same applies for the benefits of my soaps. I cannot claim that my soaps are "healing," though I can point out that certain ingredients are known to have healing properties, for example. 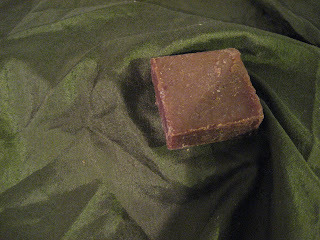 Again, for any questions regarding the special oils used in my soaps, please consult an herbalist, herbal guide book, or mountainroseherbs.com. I do not use synthetic materials of any kind, including FD&C colorings, in my products. The only "unnatural" material is lye, which, as explained above, is not present in the final product. If something is in the product, I can tell you what it is, and why it is there, and that it is not synthetic in any way. That is my personal commitment to a pure, healthy, environmentally and bodily friendly product for my family and for yours. This bar has become a favorite of many of my regular customers. It is moisturizing and nourishing--great for the cold northern winters. 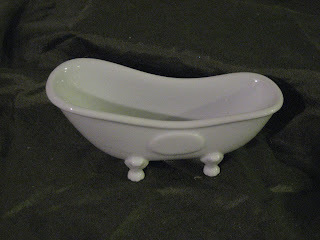 Can be used as a hand soap, kitchen soap, or bath soap. Very mild scent of lavender, lemongrass and rosemary. Approximately 5oz, stamped bars. Ingredients: olive oil, palm kernel oil, lye, lavender, rosemary, and lemongrass essential oils. A lightly exfoliating bar with a rich lather and earthy scents. Another great choice for skin suffering from harsh winter conditions. Recommended as a hand soap (great for greasy mechanic hands, for example) or a bath soap. Hemp oil, known to have healing properties, soothes skin. Square celtic knot design. Ingredients: Coconut oil, palm kernel oil, hemp oil, sweet almond butter, lye, cocoa butter, hops essential oil, apricot kernel meal. A bar full to the brim of ingredients all known to have some anti-aging properties. Natural butters help retain skin's moisture. Very feminine scents. **This 4.75 oz molded bar would normally sell for $7.50. However, they did not un-mold to perfect prettiness as planned and have some visual flaws. This isn't a big deal because as soon as they get wet, the design starts to diminish. A great deal on a bar that has some luxurious ingredients. Hello Again! Welcome to the Holiday 2007 Catalogue. All orders may be placed by email at prairiesoaphouse@gmail.com. 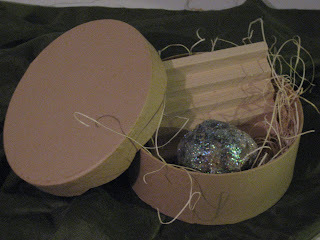 Includes 3 bars (anise seed, nutmeg, and ginger) in a pretty gift box with ribbon. Includes 2 bars (white grapefruit and lime peel) in a square scalloped gift box with ribbon. 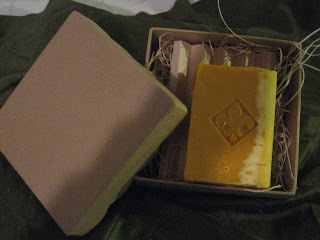 1 Bar of Tannenbaum soap with a spa soap dish in a square scalloped gift box with ribbon. Note: prices for all holiday bars: $5 each. All bars are 4 oz bars. Creamy, white bar that smells like the best black licorice you can imagine. Ingredients: Coconut oil, castor oil, canola oil, palm kernel oil, water, lye, espresso, anise seed essential oil. Harder bar that looks and smells just like eggnog with a light dusting of nutmeg. Made with our basic soap base. Ingredients: coconut oil, castor oil, sesame oil, water, lye, palm oil, nutmeg essential oil, ground nutmeg. In this bar the pungent, uplifting scent of ginger essential oil mixes with the cleansing power of Rhassoul clay to create something truly unique. Ingredients: coconut oil, canola oil, castor oil, palm kernel oil, water, lye, rhassoul clay, ginger essential oil. If you are too cautious to have the real thing in your home, but you miss the smell, this is the bar of soap for you. A hard, light green bar with the refreshing scents of fir needle and pine. Made with our basic soap base. Ingredients; coconut oil, castor oil, sesame oil, water, lye, palm oil, fire needle essential oil, pine essential oil, chlorella powder. Experts in aromatherapy claim that citrus scents have an uplifting and energizing scent and are helpful for those that live in cold, dark climates. Whether this is true or not, you will love the light scent, golden color and softness of this bar. Ingredients: coconut oil, castor oil, canola oil, palm kernel oil, water, lye, annatto powder, white grapefruit essential oil. If you’d rather be somewhere tropical, this is the bar for you. With a light green color and tangy scent, this will remind you of a traditional margarita. Ingredients: coconut oil, castor oil, canola oil, palm kernel oil, water, lye, chlorella powder, lime peel essential oil. Please remember that Prairie Soap House has all-purpose soaps for your everyday use. Below are some of the selections we carry year-round. Pictures of these items can be viewed below in our spring catalogue section. Don’t let the name fool you—this soap is as soft as butter with just the slightest amount of coffee grounds added to give you a little scrubbing power. The soap-making liquid was actually brewed, organic coffee! And for an added pick-me-up, a shot of organic peppermint essential oil has been added to the batch to give you a “mint mocha” experience before ever stepping out of your door in the morning. Ingredients: palm kernel oil*, castor oil*, soybean oil*, sunflower oil*, avocado oil*, wheat germ oil, coffee*, lye, coffee grounds*, peppermint essential oil*. PSH’s first milk soap, this bar is also colored with cocoa powder and scented with Peru balsam, allspice, and cardamom essential oils to give you the experience of a high-priced, specialty chocolate bar without the calories! Warning: it may smell and look as good as your Great Aunt Ethel’s Fudge—but please don’t eat it. Ingredients: coconut oil*, organic 2% milk*, castor oil*, sunflower oil*, soybean oil*, hazelnut oil, lye, cocoa butter*, cocoa powder, peru balsam EO, allspice EO, cardamom EO. This season’s soaps all feature one key ingredient: palm kernel oil. Normally, cold process soap making relies heavily on coconut oil to create a harder, more sudsy bar. However, for all of coconut oil’s wonderful qualities, it can be a bit drying to skin that is suffering through harsh winter conditions. That’s why all of our new soaps for spring use palm kernel oil in place of the coconut oil. Try it—I think your skin will be able to tell a difference. In addition, all of the scents for spring are focusing on lifting you out of your winter doldrums. Citrus, coffee, and other pungent, energizing scents are featured in all of the soaps. These scents are sure to make you feel like spring is just around the corner. PSH’s first almost 100% olive oil bar. A true 100% olive oil bar is difficult to achieve due to the fact that olive oil alone leaves a slimy, soft bar. Only the French have really perfected the technique. However, I believe we have gotten very close to this goal with my American-French equivalent. The only oil ingredients are a small amount of palm kernel oil (for hardness) and olive oil. By far my favorite soap I’ve created, this bar has a “swirl” of light colored lemongrass-rosemary mixed with a darker, olive green lavender-scented swirl. Ingredients: olive oil*, palm kernel oil*, lye, lavender EO*, rosemary EO*, lemongrass EO*. Our first-ever JUMBO bar. This one’s a biggie, folks. 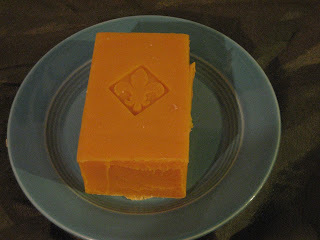 7.8 oz of pure soap, even the orange color of this bar will make you feel a big sunnier. Ginger, patchouli, eucalyptus-lemon and cinnamon essential oils are all added here to give you a bit of zing, but we haven’t forgotten to add the luxury you expect—this bar also has liquid silk added for, well, extra silkiness. Ingredients: Red palm oil*, avocado oil, coconut oil*, castor oil*, soybean oil*, extra virgin olive oil*, palm kernel oil*, lye, liquid silk, ginger EO*, patchouli EO*, eucalyptus-lemon EO*, cinnamon EO*. Ladies, it is almost that time of year again where we actually have to start shaving our legs. I know we don’t like to do it, but I think this soap may make it easier, and I dare say, more fun, to shave. I have added Rhassoul clay from Morocco, a spa-quality clay, to a fairly rich soap recipe which includes neem oil—a “miracle” oil from India. In addition, just the slightest amount of glitter and very exotic scents have been added to remind you that you deserve to be pretty and have fun even while shaving your legs. Ingredients: palm kernel oil*, sunflower oil*, soybean oil*, sesame oil*, neem oil, castor oil*, avocado oil, wheat germ oil, cocoa butter*, macadamia nut oil*, coconut oil*, olive oil*, lye, Rhassoul clay, ylang-ylang EO*, lily of the valley EO, peru balsam EO*. Now guys, you want to look nice for the ladies, don’t you? Especially if they’re going to all that trouble shaving their legs and all. Well, here’s something that will help. 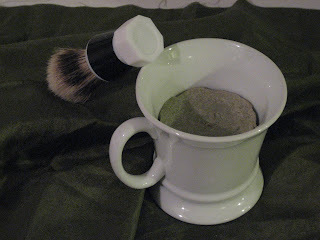 A very special shaving kit complete with shaving mug, brush (for lathering and application), and soap have been made just for you. 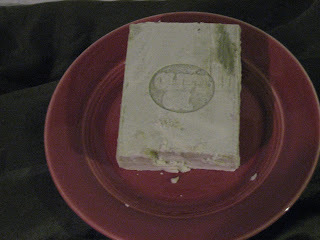 This soap has green clay and masculine smells added to our rich shaving soap base. Believe me—you will smell great! Ingredients: palm kernel oil*, sunflower oil*, soybean oil*, sesame oil*, neem oil, castor oil*, avocado oil, wheat germ oil, cocoa butter*, macadamia nut oil*, coconut oil*, olive oil*, lye, Green clay, bergamot mint EO*, patchouli EO*, bay laurel EO*, cedar wood EO*, peppermint EO*, ginger EO*. Soap is the green one in the picture above. Calling all allergy sufferers and sensitive skin people—we announce freedom in soap form from artificial and natural scents, colorings, and irritants. Following the principle of K.I.S.S. (Keep it simple, silly! 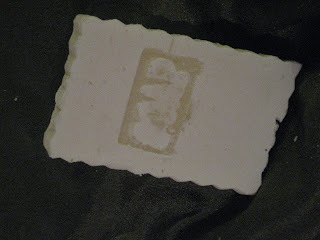 ), this is just a basic, soft bar of light-colored soap that will hopefully keep you clear of all that bothers you. Ingredients: coconut oil*, castor oil*, extra virgin olive oil*, lye. 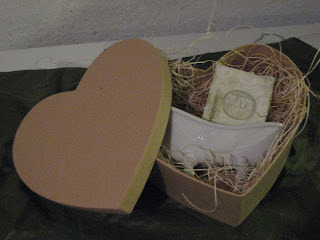 Gift boxes may be created using any of the current soap bars and put into a variety of different boxes. 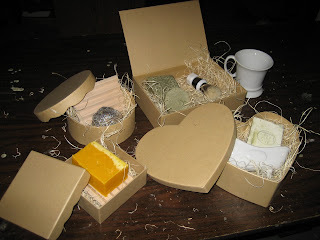 We currently have heart-shaped, scalloped square, and cigar boxes into which can be put a soap dish or tray and any number of soaps. Let me know what you are looking for, and I will price it and put it together for you. If a certain item or combination of items will not fit into a box, we can also do a gift bag for you. Please either call or email for pricing and details. Pricing depends on soaps chosen.